No other conservatory roof on the market outperforms the Ultraroof. Its incredible aesthetics are met in equal measure by outstanding performance. Find out about how the lightest, strongest solid roof available will add value to your conservatory or extension. 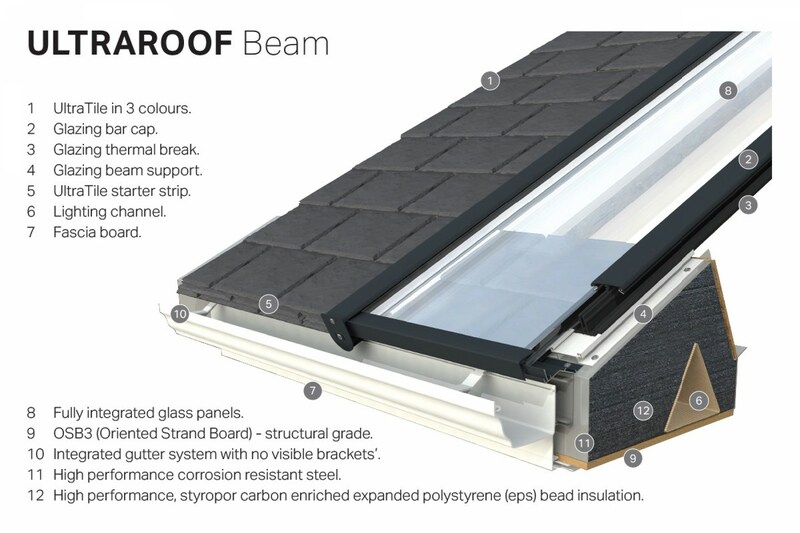 The Ultraroof is the perfect choice for replacement conservatory roof projects. Weighing in at just 38kg, it places minimal pressure on the frames and foundations of a construction and, in most cases, meets planning and building regulation requirements. The lightweight design of the Ultraroof means it’s easy to move around on site. Because the system is pre-manufactured off-site, its delivered in an almost-ready condition and can be installed with minimal disruption, mess or inconvenience. When it comes to providing a wide range of glazing options, the Ultraroof excels. Homeowners can enjoy the benefits of a solid roof without compromising on light, which would otherwise make their room feel enclosed. Full height glass panels can replace tiled sections in the Ultraroof to deliver an environment below that’s bright and which feels spacious. Illuminate your conservatory or extension a different way by using Velux windows instead. Explore the market-leading features of our Ultraframe range. Ask us how to customise your conservatory roof to make it consistent with your design plans and find out about the technology used in the Ultraroof, which delivers incredible performance in key areas such as thermal efficiency, security and light transmission. Novaseal can also provide a range of windows and doors made by leading manufacturers. Ask about the options available when you contact our team for a replacement conservatory roof quote. We have two decades of experience in the industry, and will use our knowledge to help you refine your design. Novaseal can help with almost any project. Homeowners building a conservatory or extension from scratch – or who need to replace a failing or outdated system – will be able to find a solution that responds to their requirements. Ultraroof works with almost any building style, including Georgian, Gable, Victorian and P- and T-shaped designs. It is highly configurable and has been designed to give our customers more creative control over their projects. The Ultraroof ridge is certified by the British Board of Agrement (BBA). It is easy to install, thanks to its pre-fitted counter batons, and is insulated by way of a permeable membrane and rockwool mineral tubes. There are many reasons to choose this market-leading replacement conservatory roof to complete the design of your conservatory or extension. Here are our top four. Ultraroof has been thoroughly tested to ensure it meets stringent industry fire regulations. Instead of testing its components separately, Warrington fire assessed it in its assembled form. It met all requirements in full. Other tests have been conducted to ensure the safety of homeowners who install the Ultraroof as part of their extension project. The system is B-roof fire rated according to EN 13501-5:2016 and AC, according to BS476-3:2004. Ultraroof is the perfect choice for installers and homeowners. It is pre-manufactured at Ultraframe’s factory and delivered to site ready for installation. No cutting is required, which means virtually no mess is created during the installation process. Because of its lightweight design, Ultraroof can be manoeuvred on site. If full height glazing panels are chosen, speed of installation is further increased. It’s possible to create a watertight roof within as little as six hours. Create a room space that is optimised for relaxation or entertainment. Ultraroof is packed with thermal-creating technology designed to turn a conservatory or orangery into a space that can be used at any time of the year. 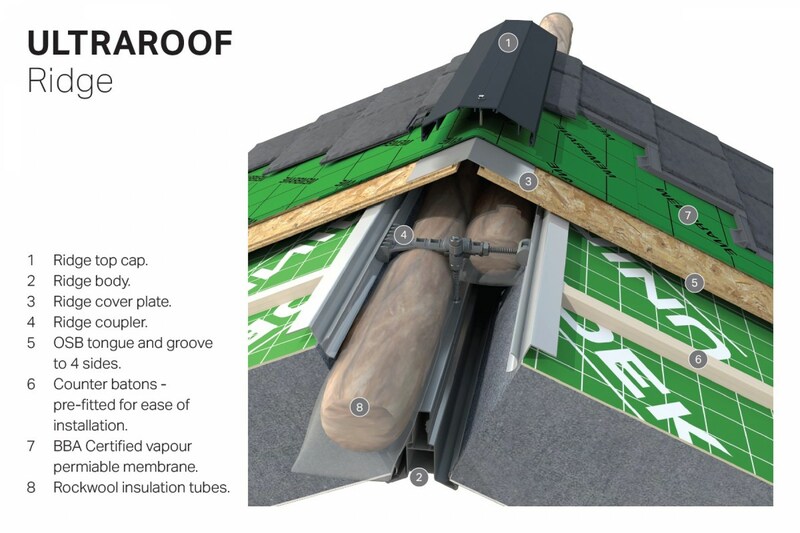 The 380mm structural beam used as part of Ultraroof’s design is fully insulated and the system prevents cold bridging. U-values as low as 0.13 are achievable, which means Ultraroof improves on Passivhaus recommendations. In many cases, its possible to upgrade to performance glass that will stop the conservatory or extension overheating during summer and getting too cold in autumn or winter. Ask for details when contacting us. The fully integrated glazing system used as part of the Ultraroof system is designed to optimise light entry, especially if full-height glazing is chosen. It is also compatible with any type of glass to give our customers more control over their final design. Contact the Novaseal team today on 01329 233500 for more information about the features and benefits of Ultraroof. If you’d like us to call you, send us a short message using our online contact form. Novaseal has twenty years experience of helping its customers find the right conservatory roofs for their projects. We continue to invest in our resources and are independently assessed by third party organisations like Certass and Which? Trusted Traders. Use our design tool to generate free quotes as often as you like for our doors, windows, and conservatories. It takes just a couple of minutes to enter your details and retrieve guideline prices.